The time between Christmas and New Year’s is a strange one. Things feel oddly festive and slightly depressing at the same time, I never know what day it is, and I am so, so tired of food. Not only am I tired of the holiday leftovers in my fridge, I’m tired of thinking about food in general. Obviously, the solution to my food-related problems is more food, and that food is red beans and rice. Planning elaborate meals is such a big part of the holidays, and the only thing I want right now is a big pot of something comforting that is easily shoveled into my mouth. 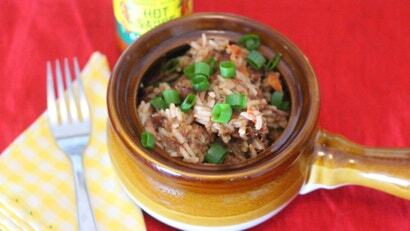 Red beans and rice is all of that, plus it’s a great vehicle for your leftover holiday ham, bone and all. It can also be made entirely in the Instant Pot. Like most dishes comprised of beans and rice, this one is deceptively simple, with a few non-negotiables. You need kidney beans and rice, yes, but you also need the holy trinity of bell peppers (I like red, but some insist on green), onion, and celery, as well as some sort of pork product, and some Cajun spices. 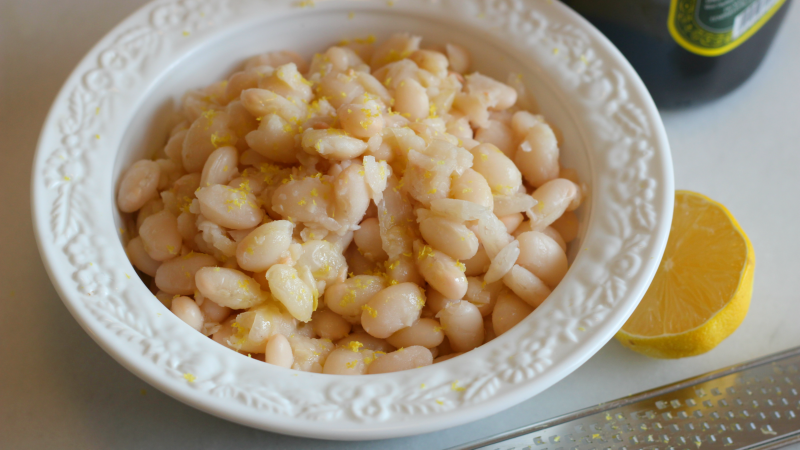 The beans are cooked with their flavorful friends until they start to fall apart. Then they’re served on, under, or mixed into rice for a warming, simple dish that will give you the strength to drag yourself through the last part of this hellish trip around the sun. Remove as much meat from your ham bone as you can and set it aside. I you don’t have half a pound of ham, supplement with some andouille or Tasso, or just don’t worry about it — the beans are the star. Rinse and pick your beans, then set those aside too. Using the “Sauté” function, melt the butter in the pot and heat it until it’s nice and foamy. Add the onion, celery, and bell pepper, and cook until the vegetables are soft (about five minutes). Add the garlic, and cook for a couple of minutes until fragrant. While the rice is cooking, mix and mash the beans to your liking, seasoning with more cajun spice if needed. If you’re beans are a little dry, stir in some of that tasty bean juice you strained away earlier. (Just make sure to toss the bay leaves.) Once all the pressure has released from the rice, open up the Instant Pot, fluff the rice with a fork, and serve it with the beans you have been thinking about.